Since the Christmas holidays are rapidly approaching we thought that we should spread some Christmas inspiration here in the blog. So make sure to stop by every day this week to take part of our amazing Design Team’s ideas for home made Christmas gifts. 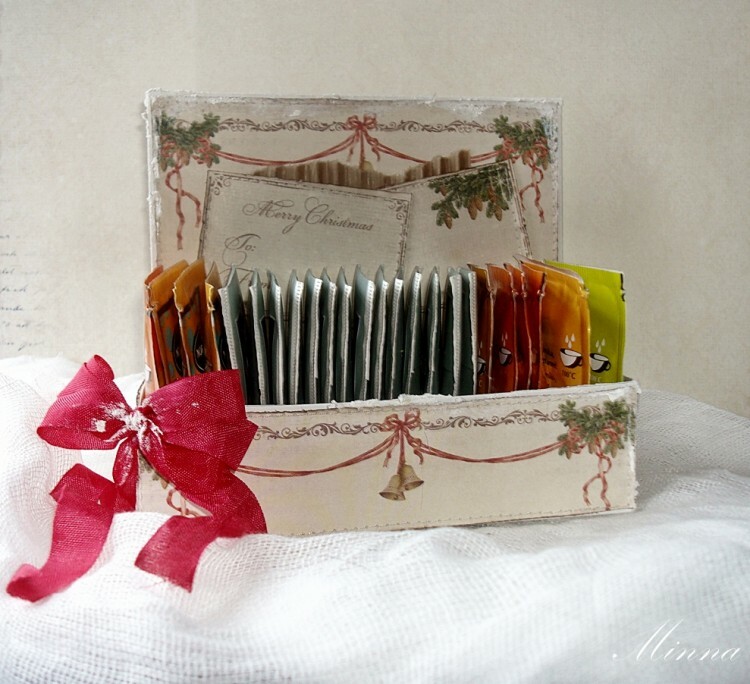 First out is Minna and a sweet tea box that she has made using DT-member Marianne’s tutorial! Hello to everyone, I have done a tea box using Marianne’s tutorial and papers from the “Wintertime in Swedish Lapland” collection. These boxes filled with tea or coffee bags are really wonderful to give someone and they are also easy to make.